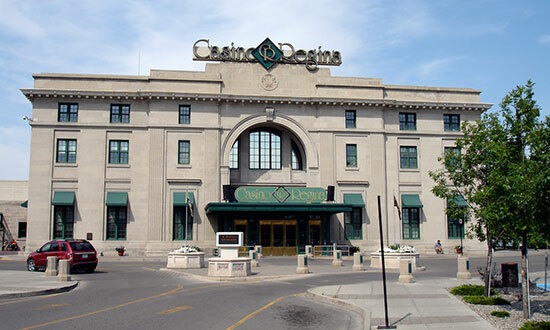 Casino Regina is owned and operated by SaskGaming, a gaming corporation created under The Saskatchewan Gaming Corporation Act. Last Spike Restaurant - Breakfast, lunch and dinner. Lounge and restaurant. CPR Lounge - Open during regular casino hours. CR Express - Snacks. Open during regular casino hours. CMJ Express - Snacks. Open during regular casino hours.